She was married to Noah Ray Ripato August 16, 1947, and they celebrated 64 years of marriage. He preceded in death by her August 10, 2012. Mrs. Ripato, who resided in the Orangeburg community, graduated from Lewis County High School in 1943 and attended Morehead State University. She was an active member of the Olivet United Methodist Church where she taught Sunday School and served on various committees. After marrying and moving to Maysville, she worked for Queen’s Chevrolet as a bookkeeper and along with her husband owned and operated a family grocery store in the East End of Maysville for several years. After starting her family, she became a homemaker and was devoted to evangelistic work in surrounding communities with her husband. Mrs. Ripato is survived by her four children, Patty Firesheets (Don) of Marietta, Georgia, Ruth Ann Furby-Heath (Kevin) of Aberdeen, Ohio, Rev. Dr. Silas Ripato (Carolyn) of Louisville, and Bobby Ripato (Rhonda) of Mt. Carmel. Surviving grandchildren are Peter Ripato (Amy) of Lewisburg, Brandon Ripato of Maysville, Justin Firesheets (Jenifer) of Birmingham, Alabama, Nathan Firesheets of Atlanta, Georgia, Bethanie Talbot (Aaron) of Indianapolis, Indiana, Courtney Garringer (Adam) of Hillsboro, Ohio and Cory Ripato of Fleming County; seven great-grandchildren, Levi, Josie and Alex Ripato, Rylee and Collin Firesheets, and Theodore and Whitaker Garringer. Also surviving are a neice, Karen Myers of Oak Hill, Ohio; and two nephews, Steve Hogge of Richmond, and Ralph Ware of Thrall, Texas. Besides her husband, she was preceded in death by one son, Michael Ray Ripato; a granddaughter, Kristen Firesheets; and four sisters, Ruth Gulley, Doris Hogge, Christina Mowery and Gladys Ware. 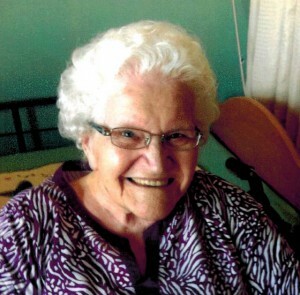 Services for Lois Gulley Ripato will be held at the Olivet United Methodist Church Monday, April 8, 2019, at 11:00 a.m. with Rev. David Green officiating. Burial will follow in Olivet Cemetery. Pallbearers will be her grandsons, Peter, Brandon and Cory Ripato, Justin and Nathan Firesheets; and nephew, Steve Hogge. Visitation will be at Moore and Parker Funeral Home in Maysville Sunday April 7, 2019, from 5:00 p.m. until 8:00 p.m. and one hour prior to services Monday at the church. Memorials are suggested to Olivet United Methodist Church, c/o Tommy Stanfield, 7300 Dixon Pike, Maysville, KY 41056. Condolences may be sent at www.MooreAndParkerFH.com.